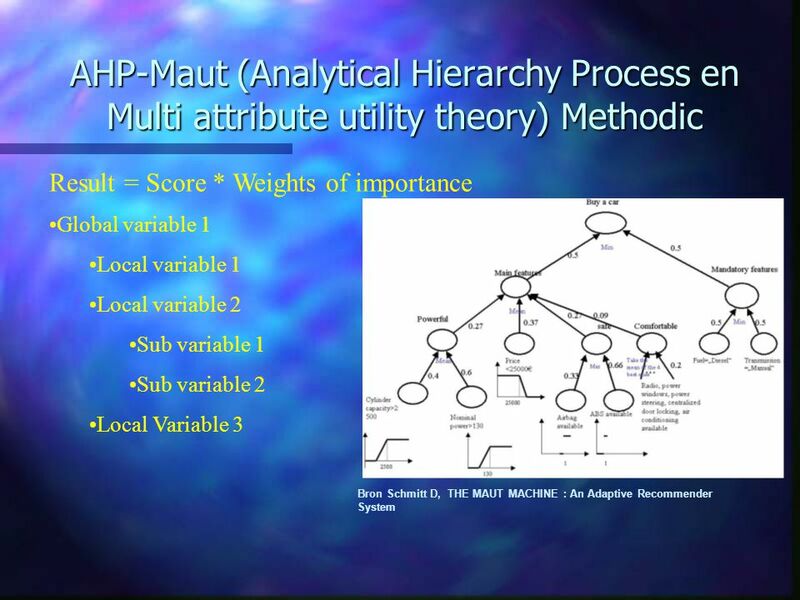 Selection and decision-making criteria for a Distributed Control Systems in the process industry Willem D. Hazenberg Senior Process Control Consultant. 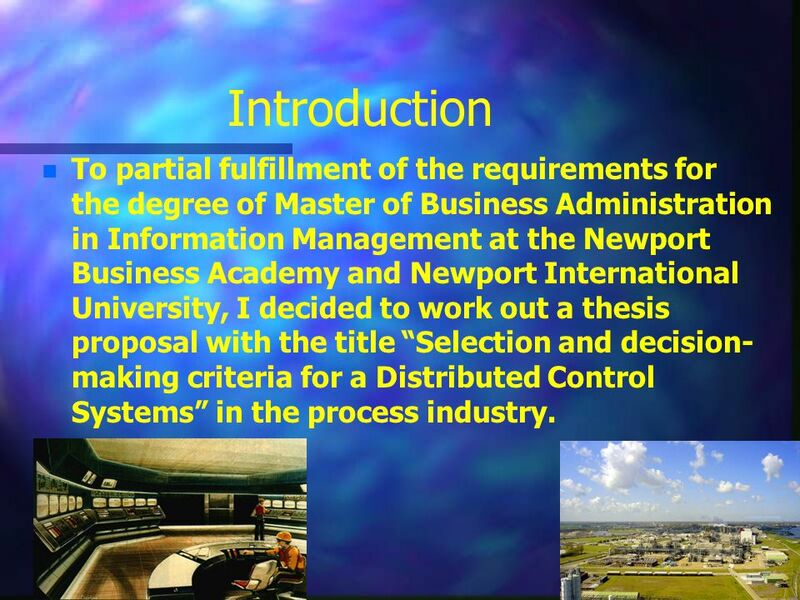 4 Introduction To partial fulfillment of the requirements for the degree of Master of Business Administration in Information Management at the Newport Business Academy and Newport International University, I decided to work out a thesis proposal with the title “Selection and decision-making criteria for a Distributed Control Systems” in the process industry. 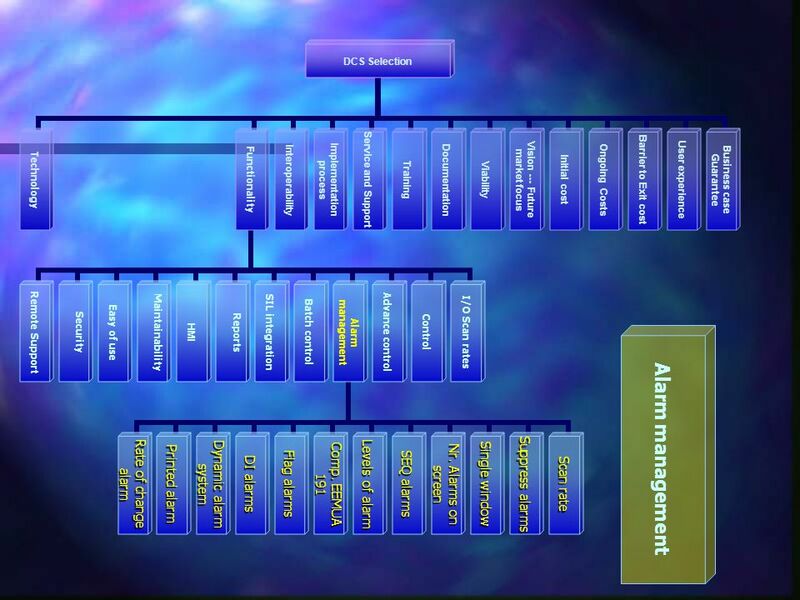 For the control of the chemical processes in the process “chemical” industry Distributed Control systems (DCS) are applied. These systems are the heart- and nerve system within these factories. 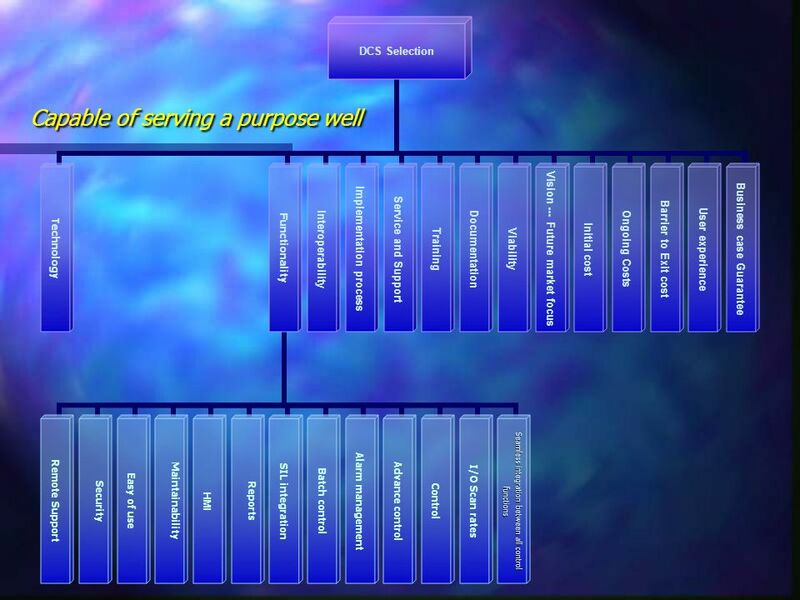 The choice of DCS for a concern is a matter of strategic importance. High demands are made to the availability of a DCS and if the concern made a choice, she is committed to it for a lengthy time. 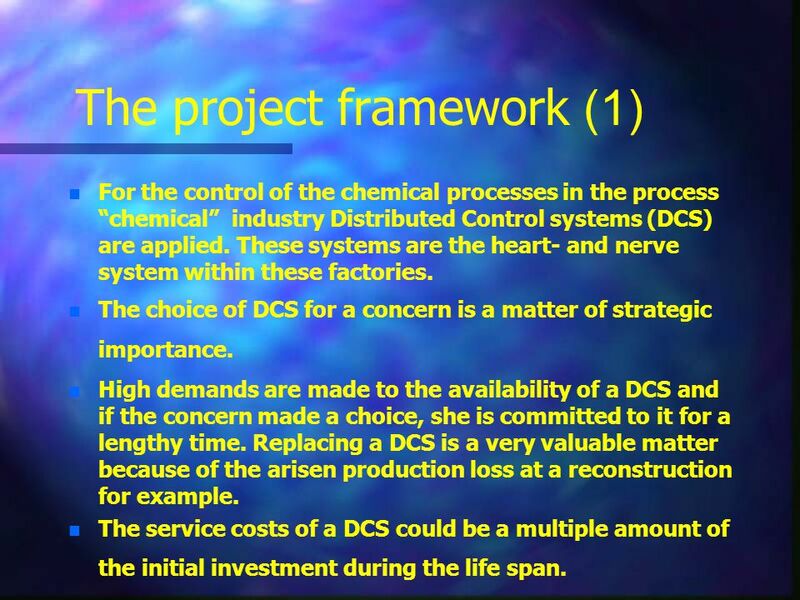 Replacing a DCS is a very valuable matter because of the arisen production loss at a reconstruction for example. 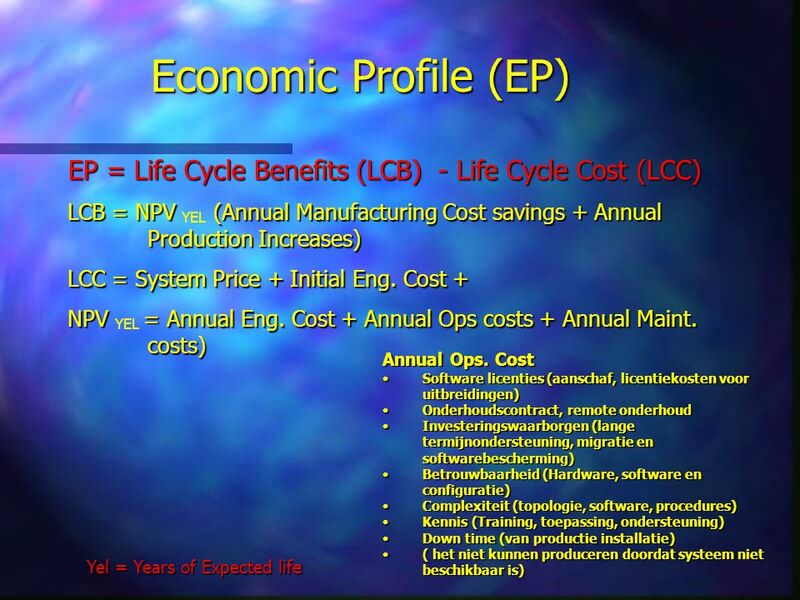 The service costs of a DCS could be a multiple amount of the initial investment during the life span. 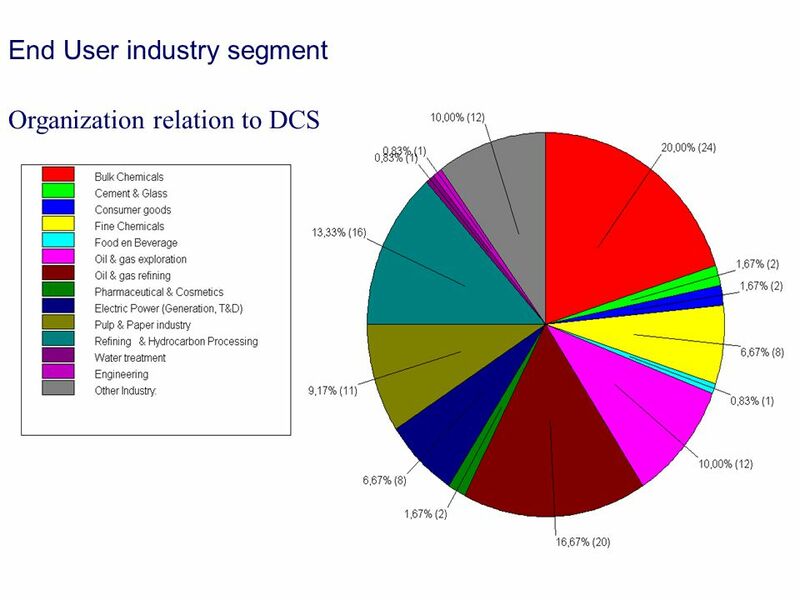 The process industry in the world for approximately spends 65 billion dollar per year at the top 50 suppliers on process control systems (included DCS). 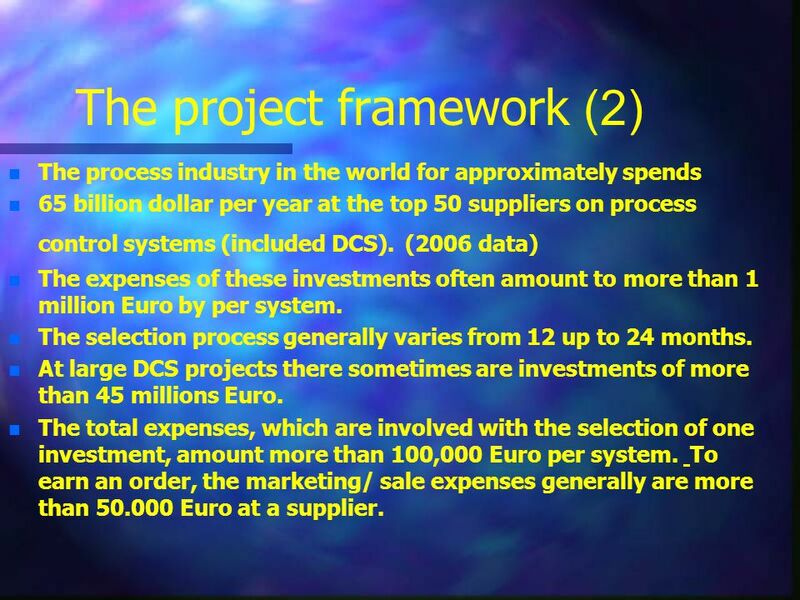 (2006 data) The expenses of these investments often amount to more than 1 million Euro by per system. 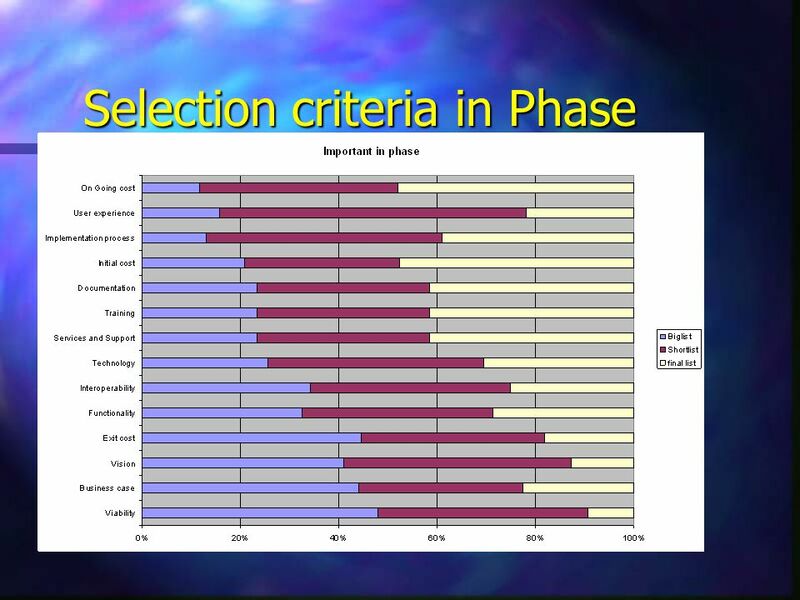 The selection process generally varies from 12 up to 24 months. 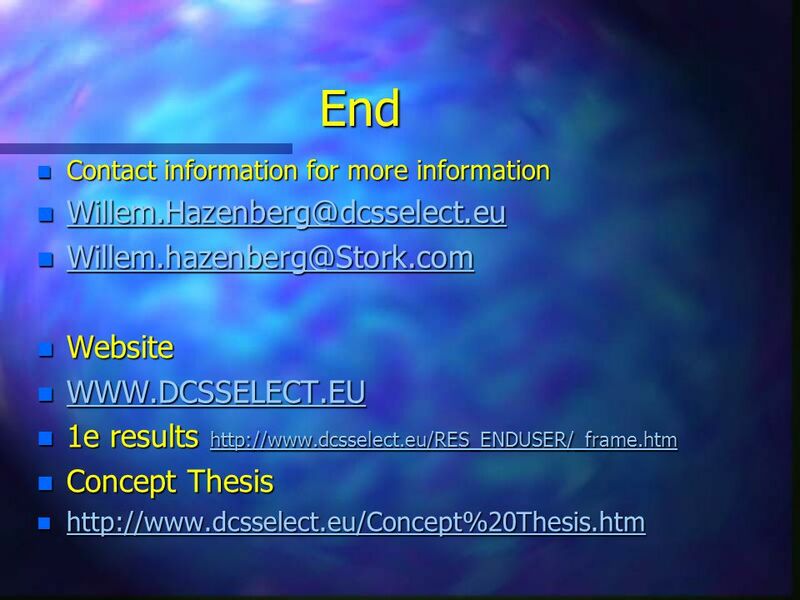 At large DCS projects there sometimes are investments of more than 45 millions Euro. 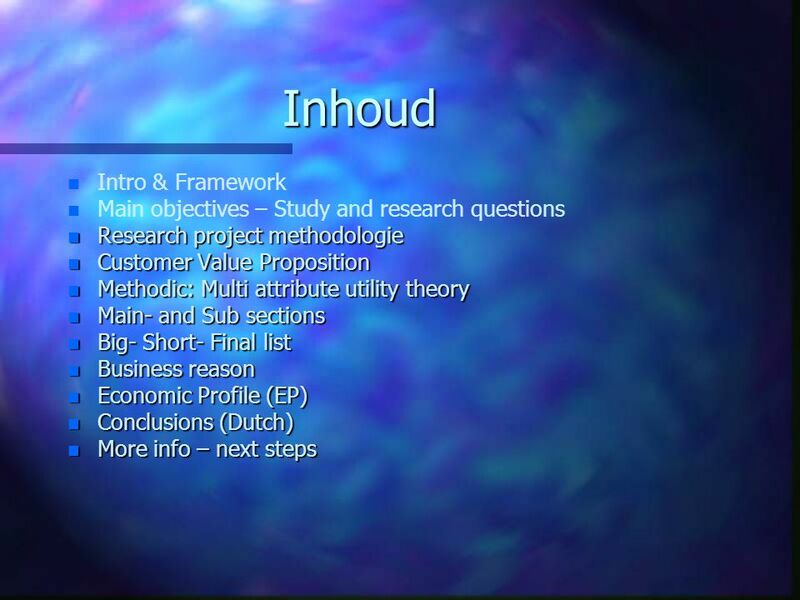 The total expenses, which are involved with the selection of one investment, amount more than 100,000 Euro per system. 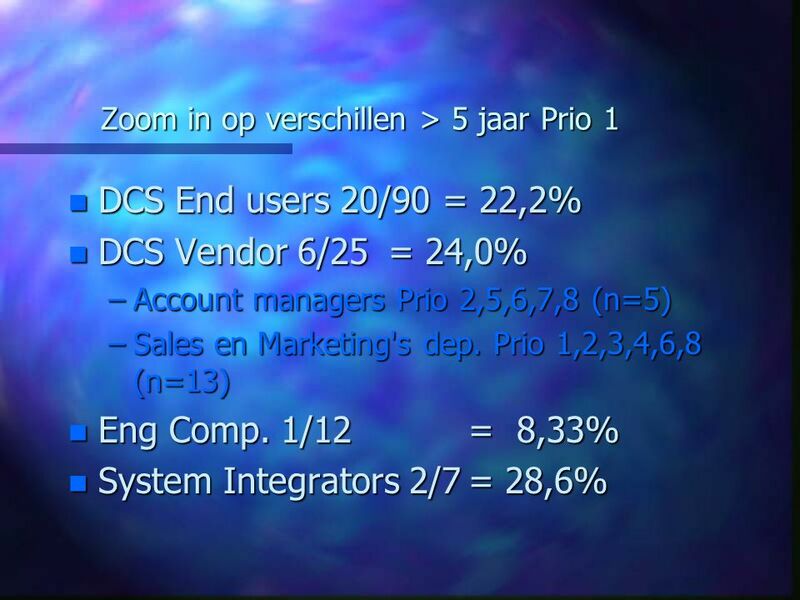 To earn an order, the marketing/ sale expenses generally are more than Euro at a supplier. 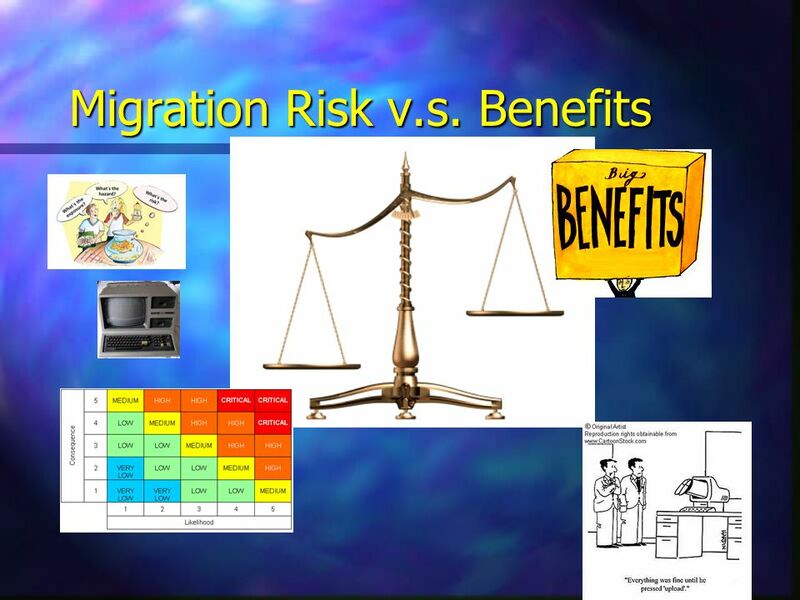 Local employees of the establishments are involved frequently in the choice for a system. Because of the fact that this investment only takes place every years, they are lacked from experience and methods to be able to take this kind of decisions. 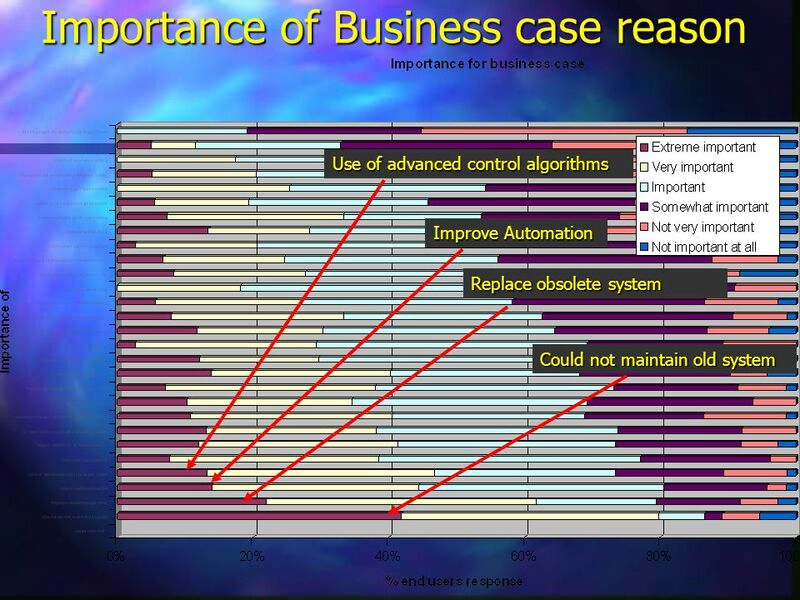 The consequence is that the choice for a certain system is not always univocal at this moment and the relation between a business case, a chosen solution, and the selection process isn’t always there. This study has to contribute that we make the choice of a system in a more univocal way and the decision-making becomes more transparently. 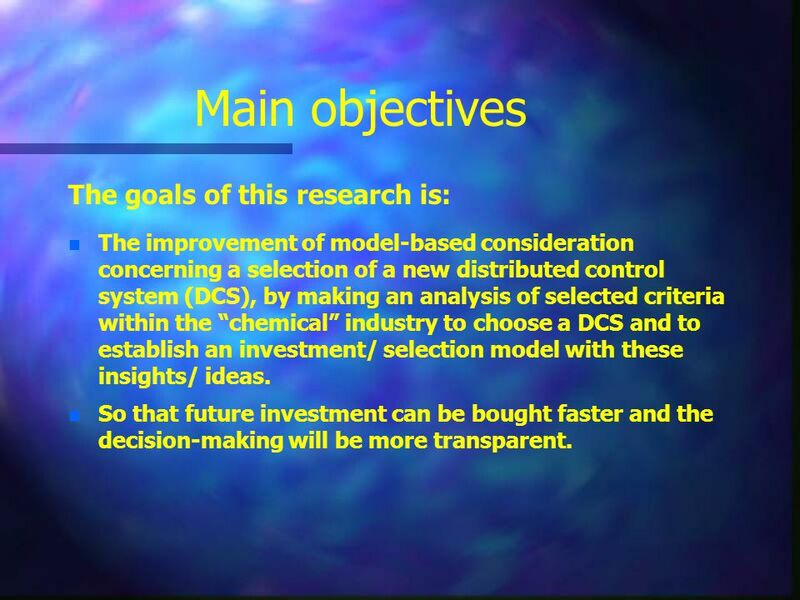 The improvement of model-based consideration concerning a selection of a new distributed control system (DCS), by making an analysis of selected criteria within the “chemical” industry to choose a DCS and to establish an investment/ selection model with these insights/ ideas. 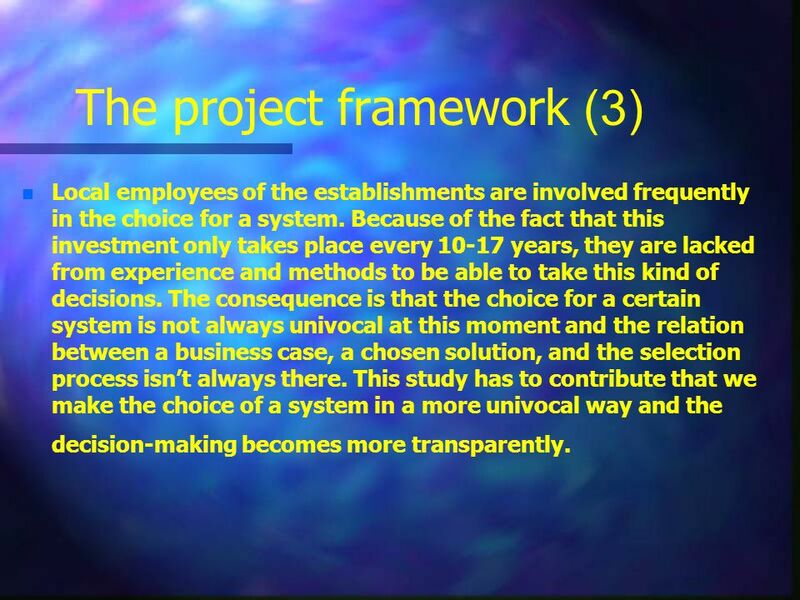 So that future investment can be bought faster and the decision-making will be more transparent. 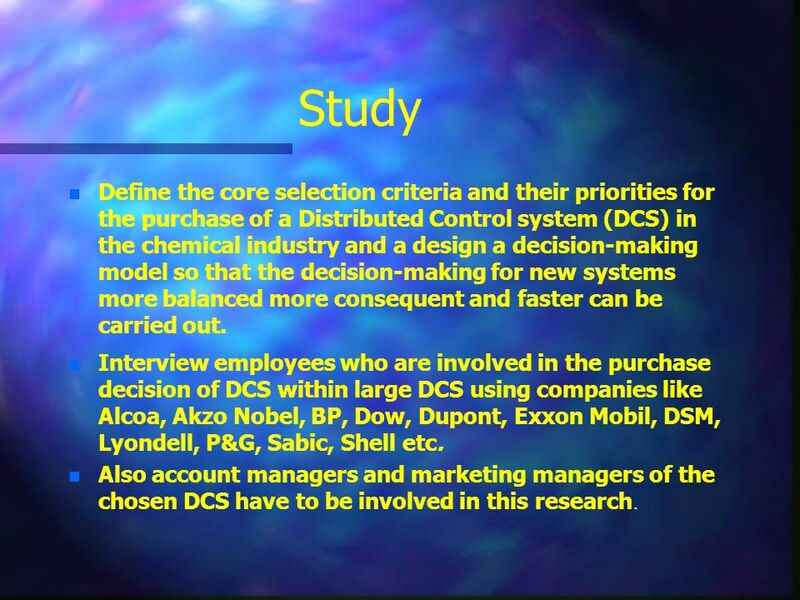 10 Study Define the core selection criteria and their priorities for the purchase of a Distributed Control system (DCS) in the chemical industry and a design a decision-making model so that the decision-making for new systems more balanced more consequent and faster can be carried out. 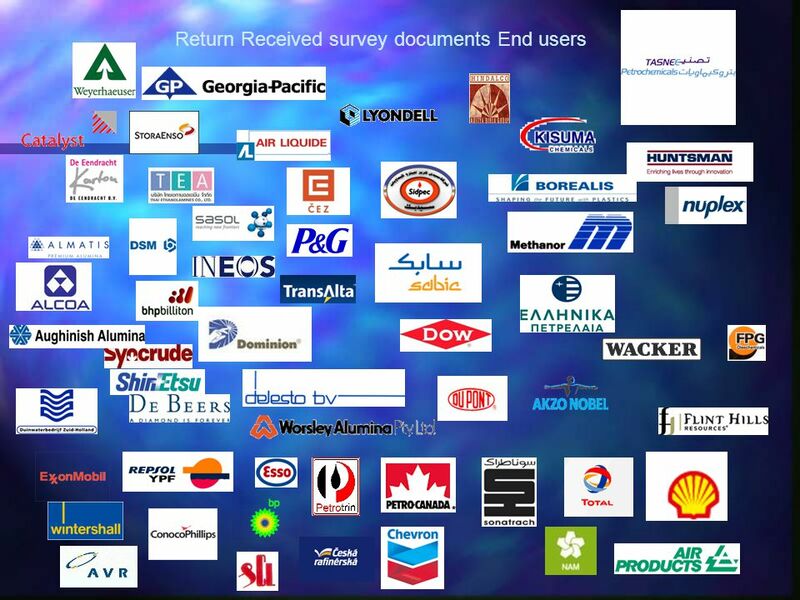 Interview employees who are involved in the purchase decision of DCS within large DCS using companies like Alcoa, Akzo Nobel, BP, Dow, Dupont, Exxon Mobil, DSM, Lyondell, P&G, Sabic, Shell etc. 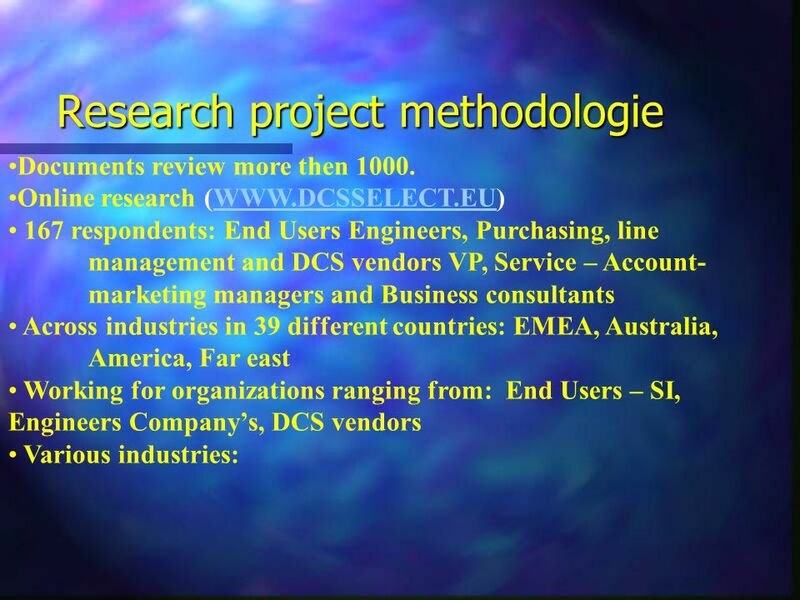 Also account managers and marketing managers of the chosen DCS have to be involved in this research. 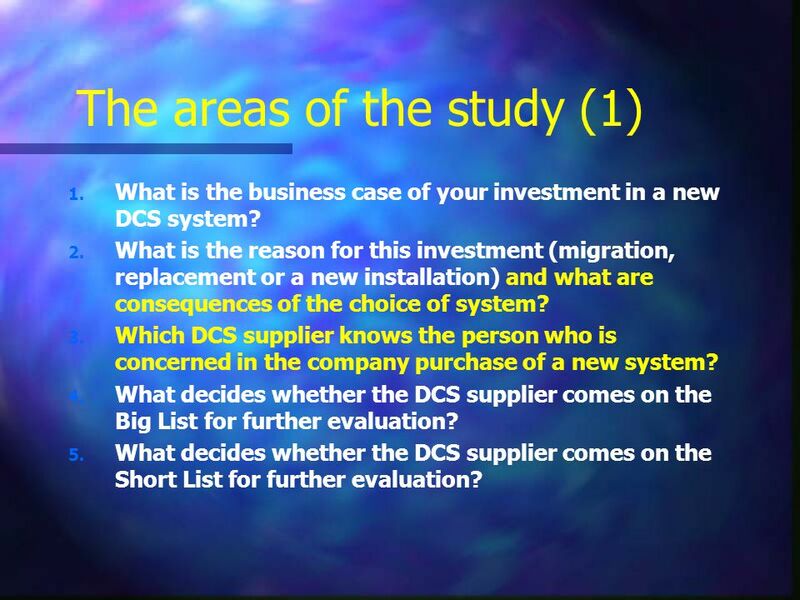 What is the business case of your investment in a new DCS system? 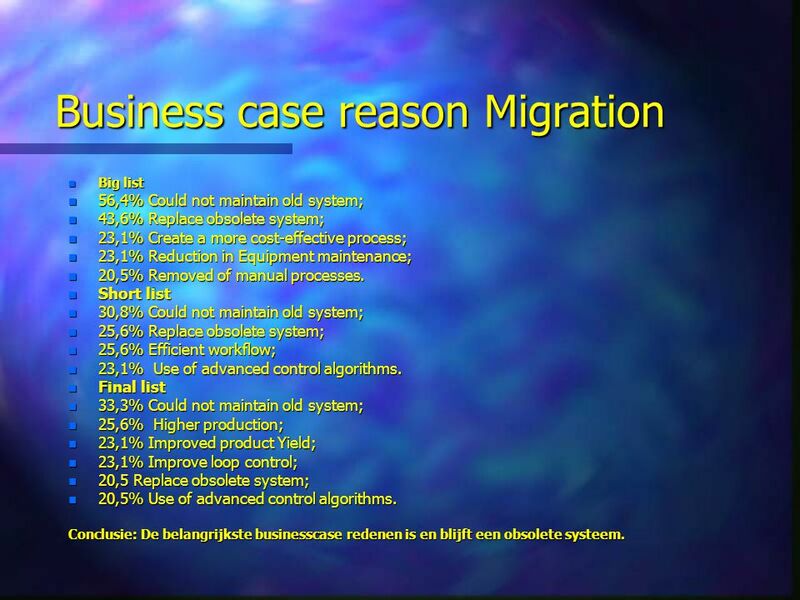 What is the reason for this investment (migration, replacement or a new installation) and what are consequences of the choice of system? 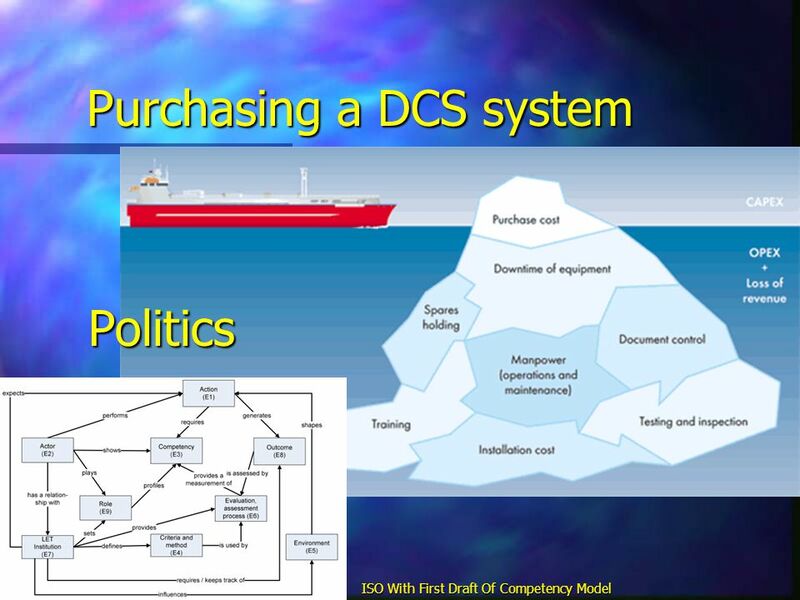 Which DCS supplier knows the person who is concerned in the company purchase of a new system? 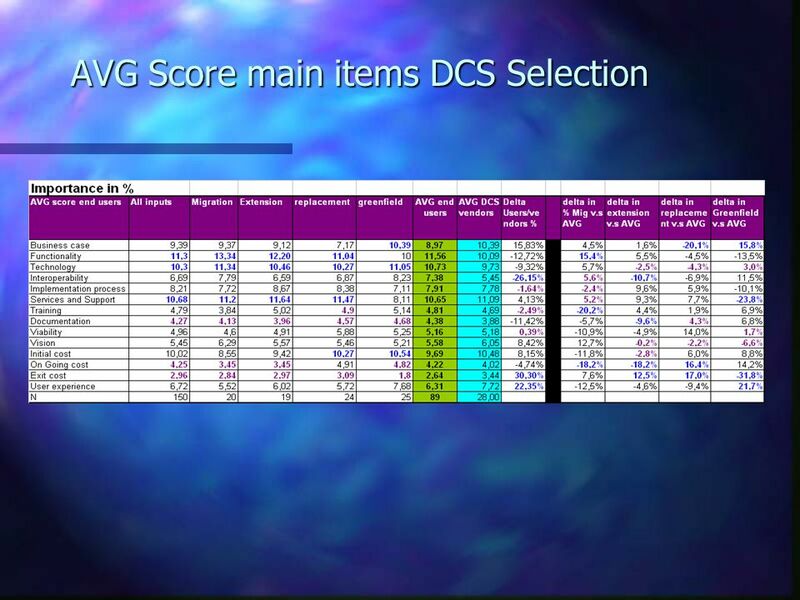 What decides whether the DCS supplier comes on the Big List for further evaluation? 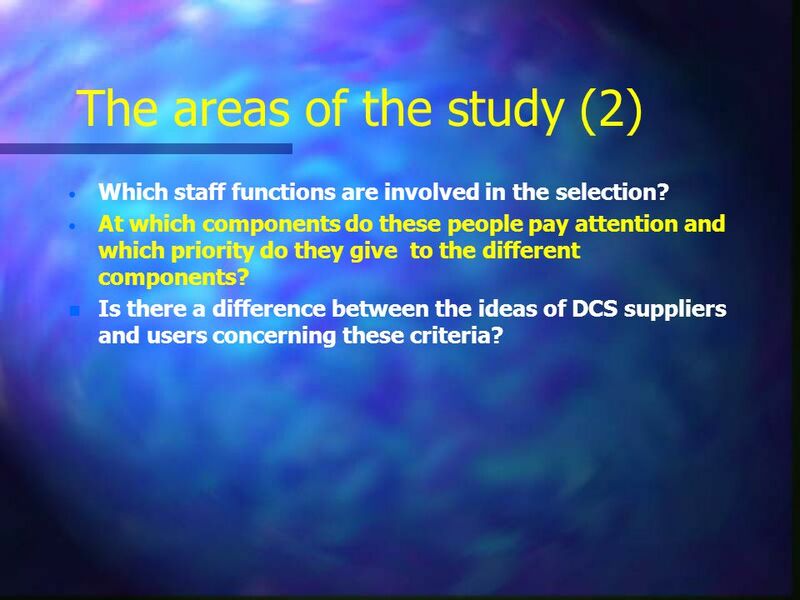 What decides whether the DCS supplier comes on the Short List for further evaluation? 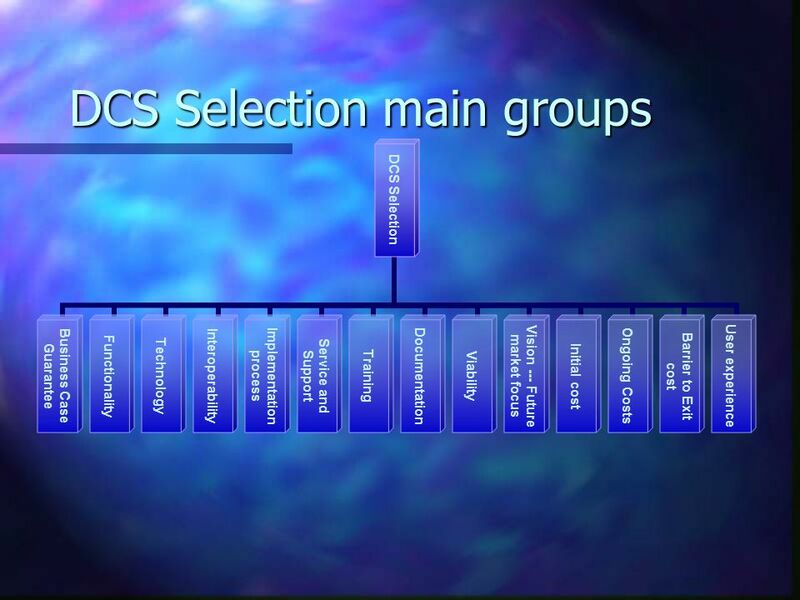 Which staff functions are involved in the selection? 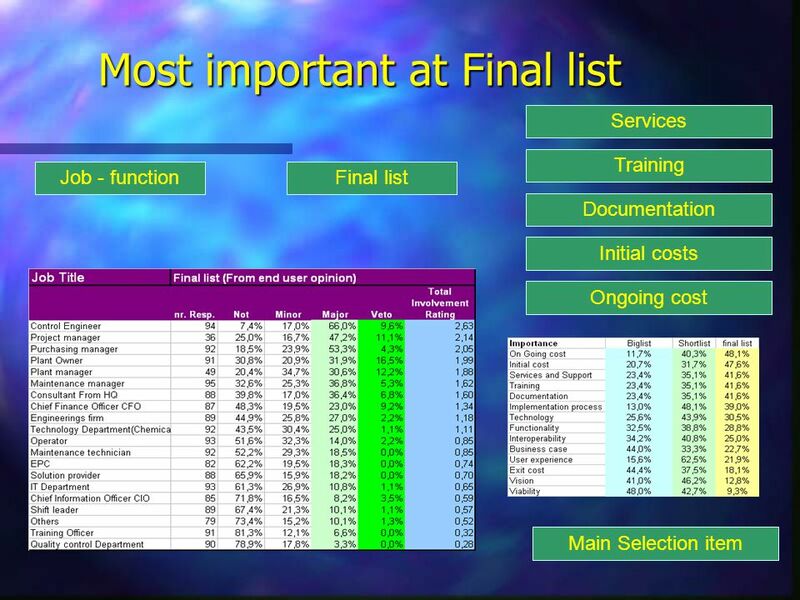 At which components do these people pay attention and which priority do they give to the different components? 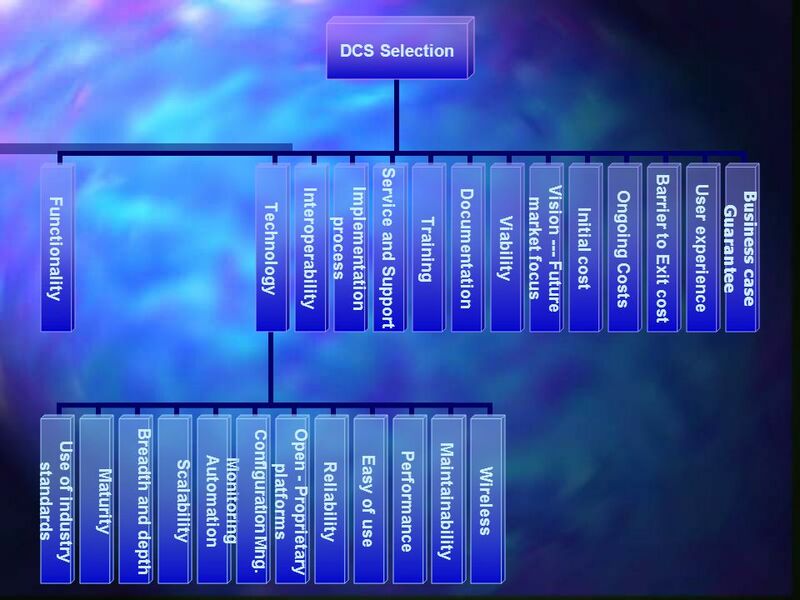 Is there a difference between the ideas of DCS suppliers and users concerning these criteria? 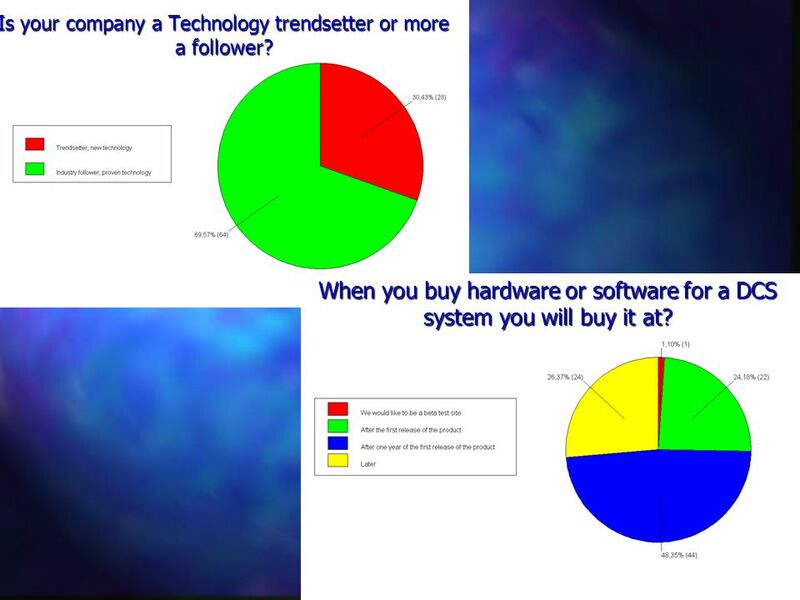 21 Is your company a Technology trendsetter or more a follower? 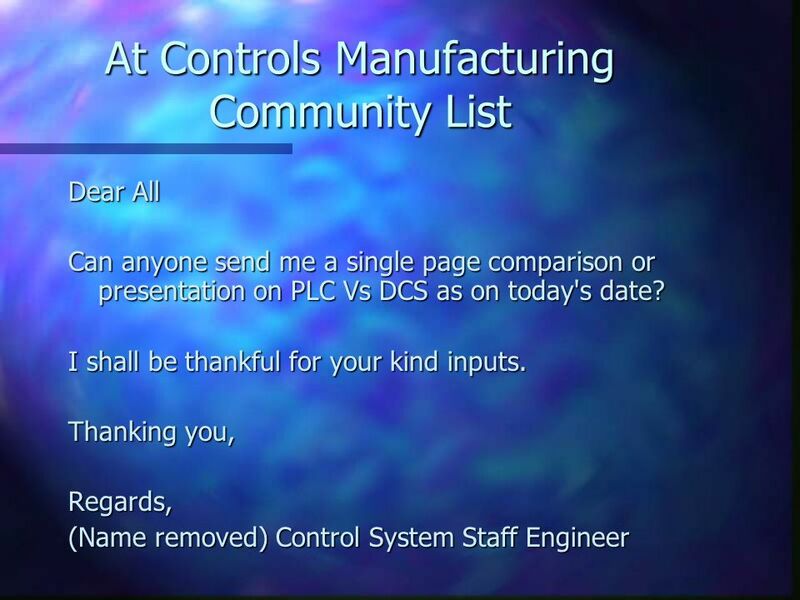 When you buy hardware or software for a DCS system you will buy it at? 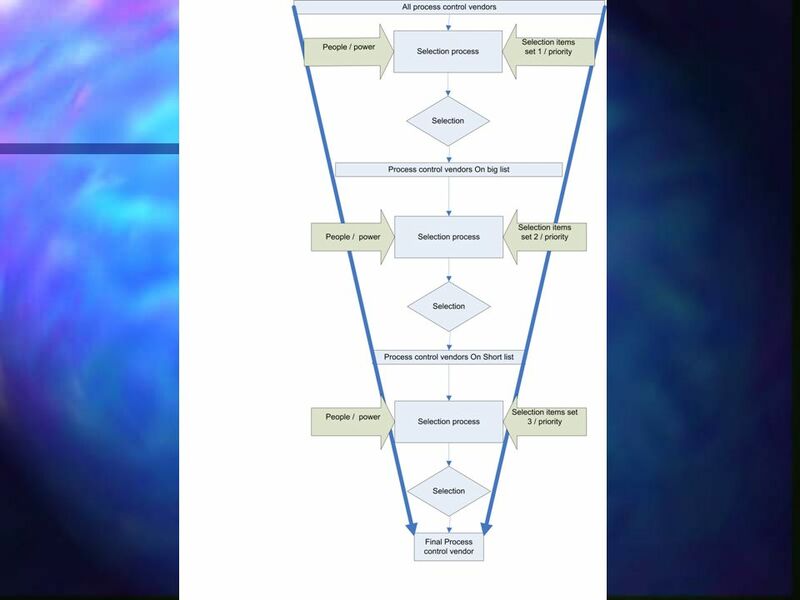 Decision Framework: Because no enterprise in pursuit of market leadership can excel simultaneously in product superiority, operational efficiency and customer intimacy (unless it has unlimited resources), there are trade-offs to be made. 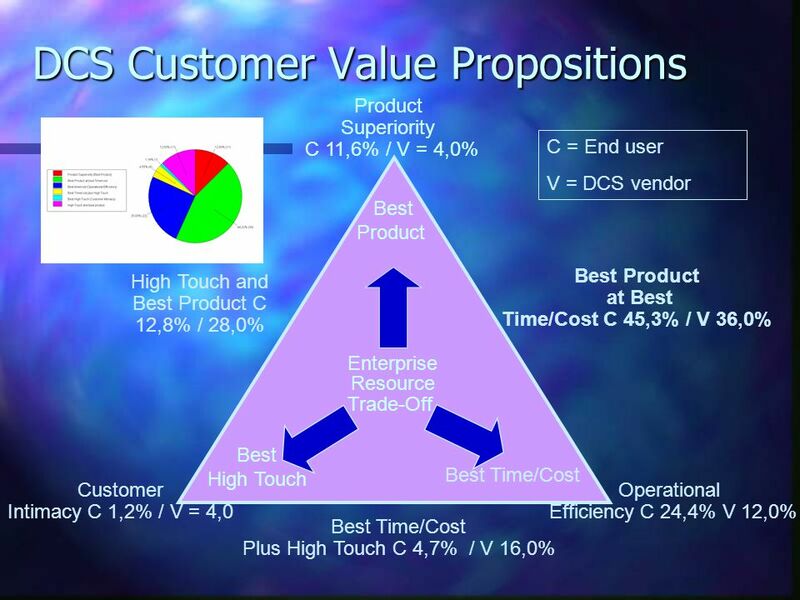 DCS Customer Value Propositions Product Superiority C 11,6% / V = 4,0% C = End user V = DCS vendor Best Product Best Product at Best Time/Cost C 45,3% / V 36,0% High Touch and Best Product C 12,8% / 28,0% Enterprise Resource Trade-Off Best High Touch Best Time/Cost Customer Intimacy C 1,2% / V = 4,0 Operational Efficiency C 24,4% V 12,0% Source: Adapted from M. Treacy and F. Wiersema Best Time/Cost Plus High Touch C 4,7% / V 16,0% Key Issue: How will organizations develop and implement a business vision for CRM? 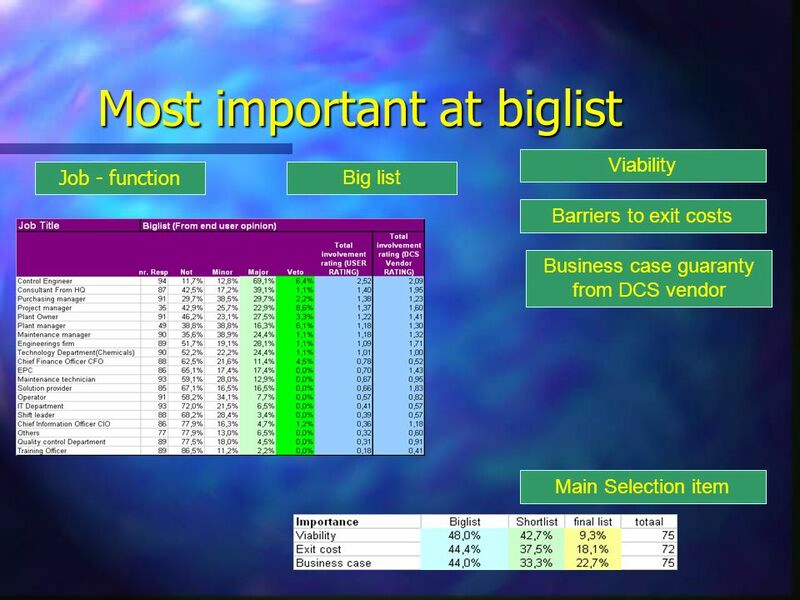 In 1995, M. Treacy and F. Wiersema’s stated in their book “The Discipline of Market Leaders” that enterprises that use a business strategy to emerge as market leaders excel in at least one of the following three value disciplines, and are as good as the competition in each of the others: 1) operationally excellent, meaning that their back-office operational systems and processes are so good that they have a cost advantage; 2) product leaders, meaning that they drive the market on the strength of their products, giving them a unique product or service offering; or 3) customer-intimate, meaning that they are so close to the customer and establish such a strong relationship that the customer has no desire to buy elsewhere. All enterprises tend to pursue some combination of these traits; none can master all three disciplines unless it has unlimited resources. Lessons can be learned from the model that can be applied to CRM. The trap many enterprises fall into is in equating customer intimacy with CRM when, in reality, the customer may not value intimacy and may set a higher value on a low price or a superior product. 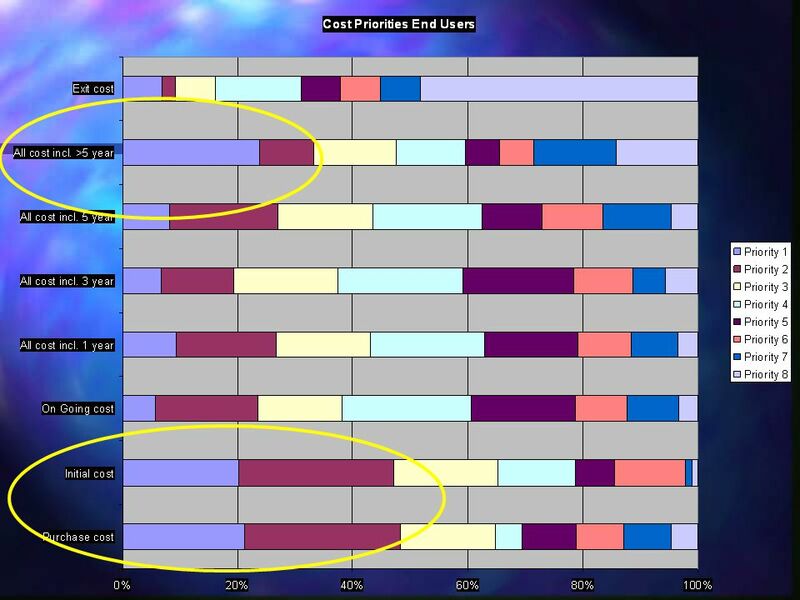 Action Items: Enterprises in pursuit of CRM will identify the balance of needs by each customer segment in the areas of product superiority, time- and cost-based competitiveness, and customer intimacy. 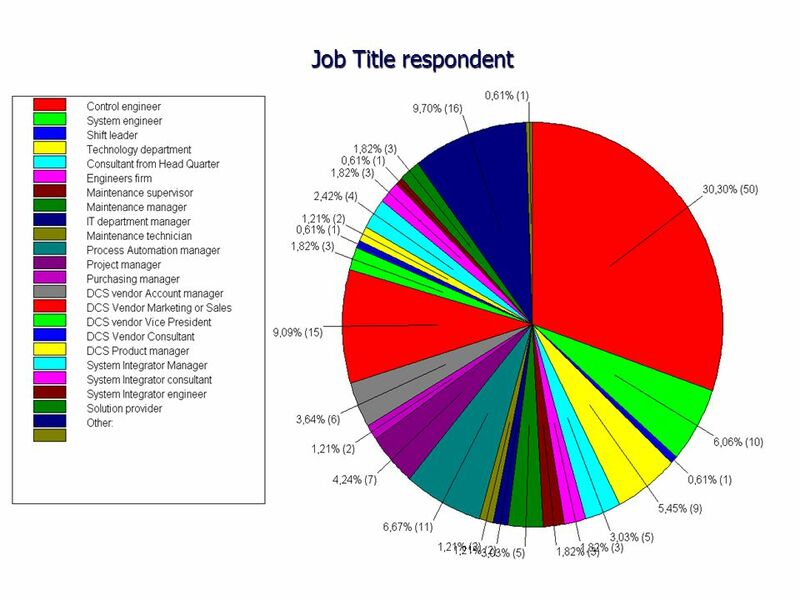 CRM project-sponsoring business executives should be able to clearly articulate how each customer segment will value its purchases. 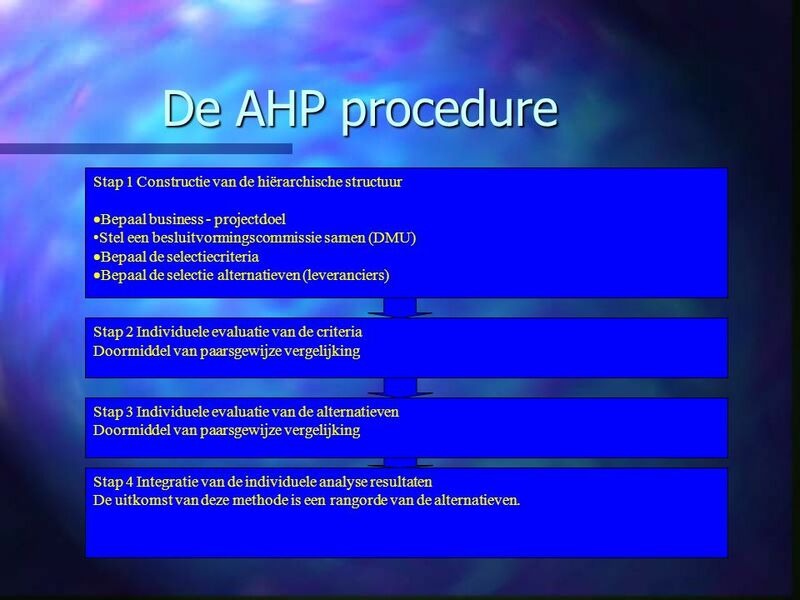 Bepaal business - projectdoel Stel een besluitvormingscommissie samen (DMU) Bepaal de selectiecriteria Bepaal de selectie alternatieven (leveranciers) Stap 2 Individuele evaluatie van de criteria Doormiddel van paarsgewijze vergelijking Stap 3 Individuele evaluatie van de alternatieven Stap 4 Integratie van de individuele analyse resultaten De uitkomst van deze methode is een rangorde van de alternatieven. 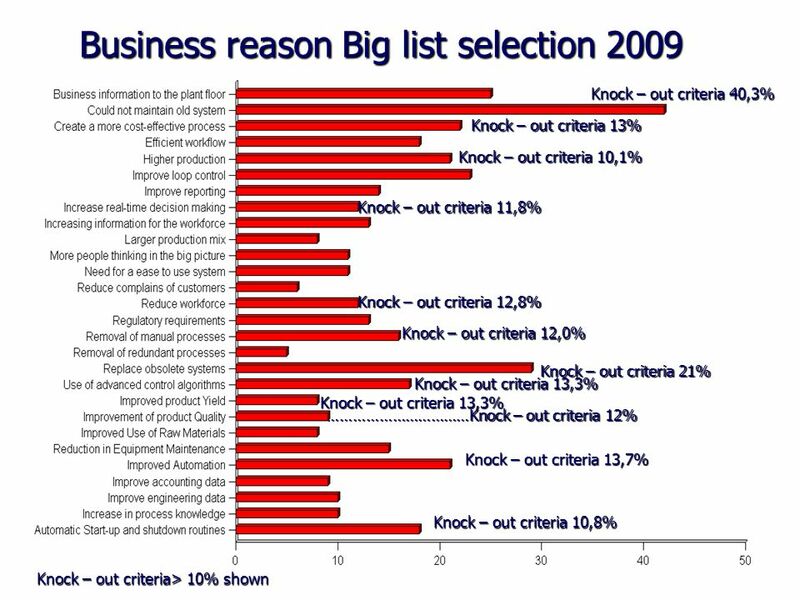 Big list 56,4% Could not maintain old system; 43,6% Replace obsolete system; 23,1% Create a more cost-effective process; 23,1% Reduction in Equipment maintenance; 20,5% Removed of manual processes. 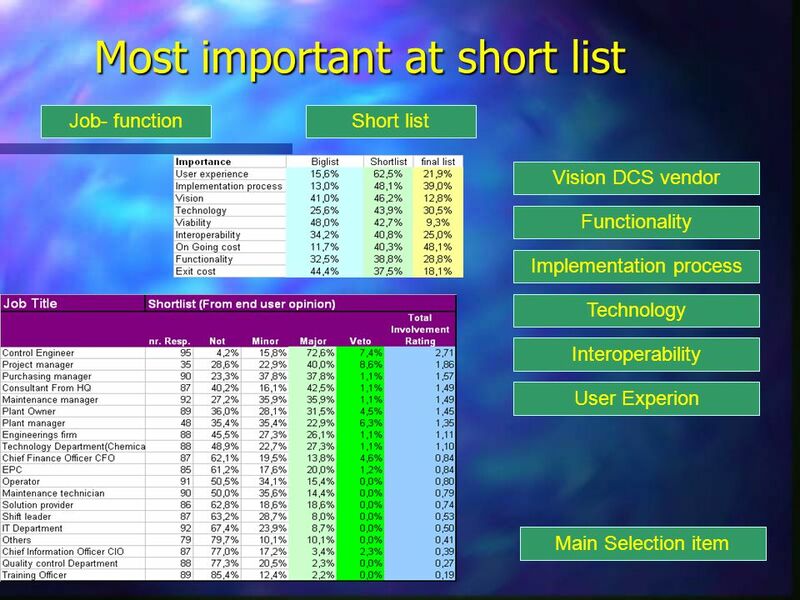 Short list 30,8% Could not maintain old system; 25,6% Replace obsolete system; 25,6% Efficient workflow; 23,1% Use of advanced control algorithms. 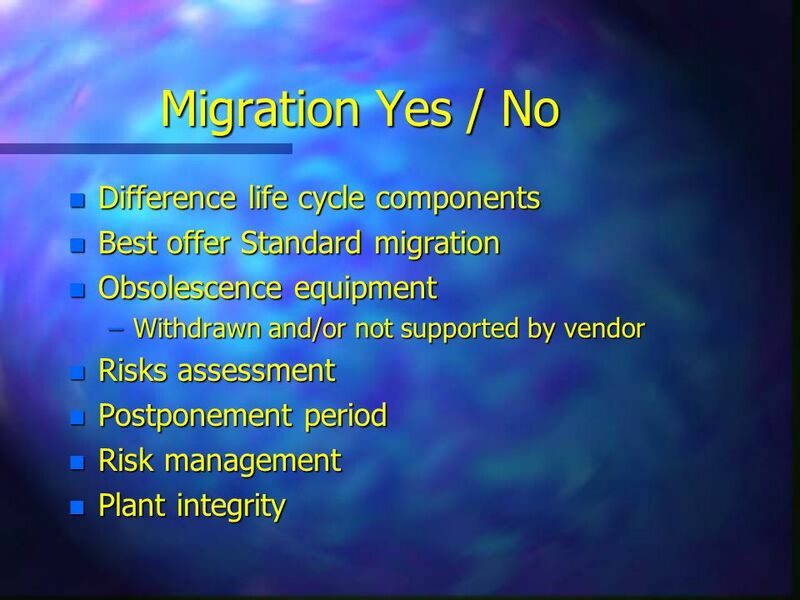 Final list 33,3% Could not maintain old system; 25,6% Higher production; 23,1% Improved product Yield; 23,1% Improve loop control; 20,5 Replace obsolete system; 20,5% Use of advanced control algorithms. 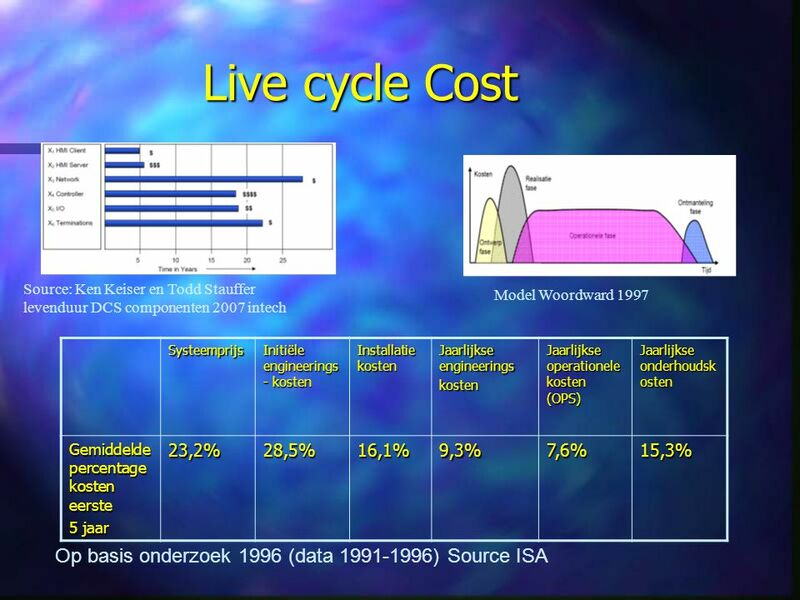 Conclusie: De belangrijkste businesscase redenen is en blijft een obsolete systeem. 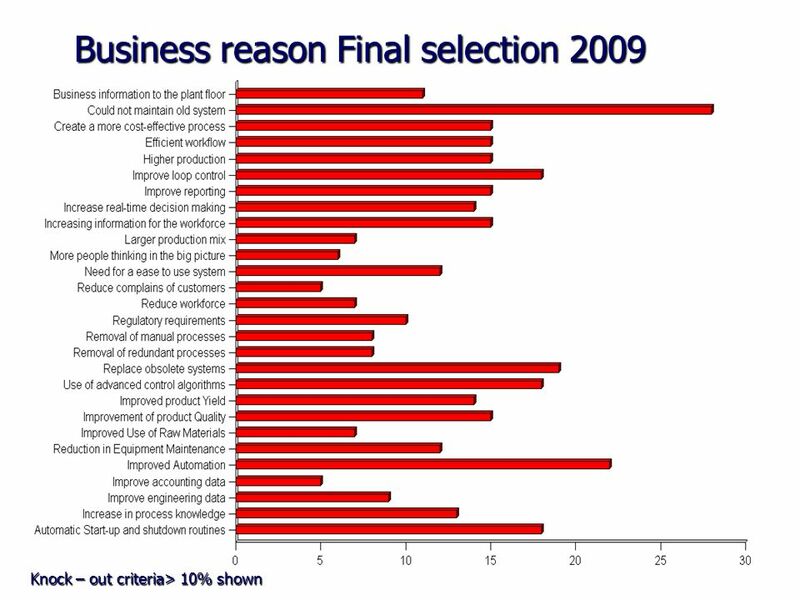 Big list 41,7% Improved automation; 33,3 % Business information to the plant floor; 33,3% Higher production. 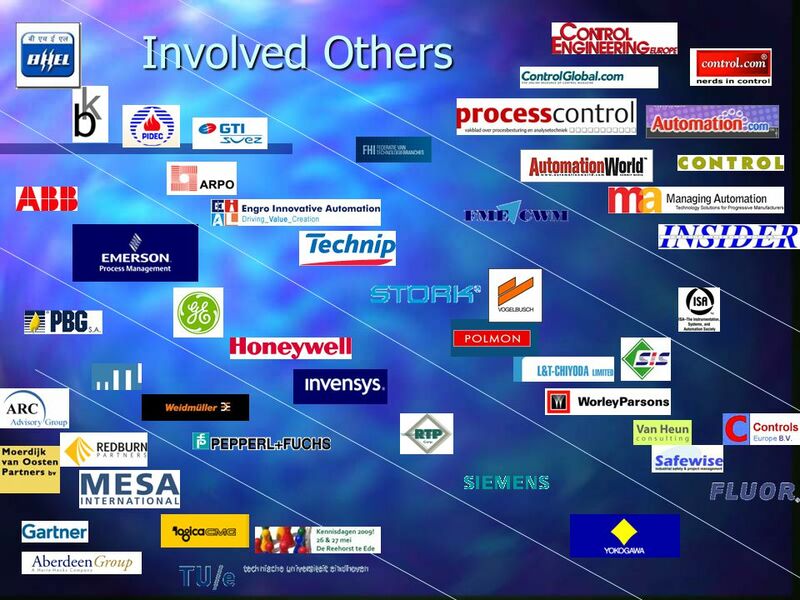 Short list 33,3% improved automation; 27,1% Increase real-time decision making; 25,0% Use of advanced control algorithms; 14,6 % Business information to the plant floor; 14,6% Higher production. 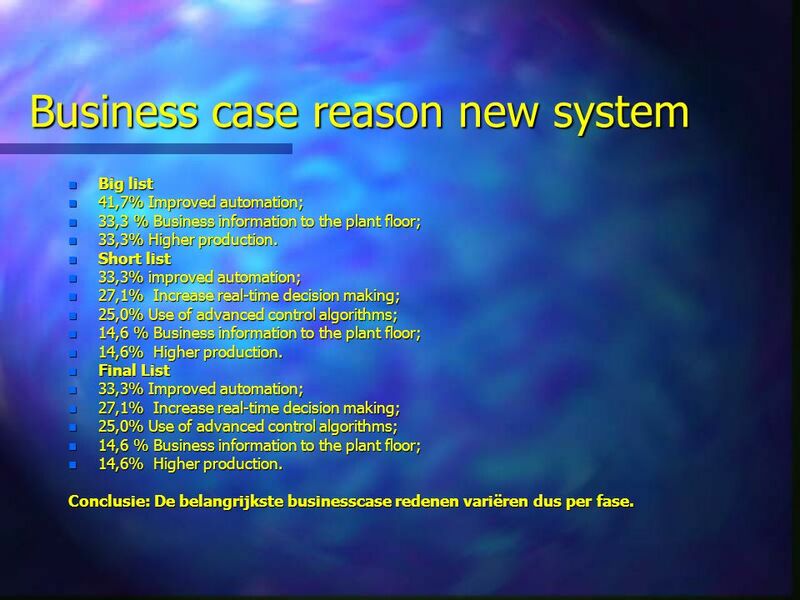 Final List 33,3% Improved automation; Conclusie: De belangrijkste businesscase redenen variëren dus per fase. 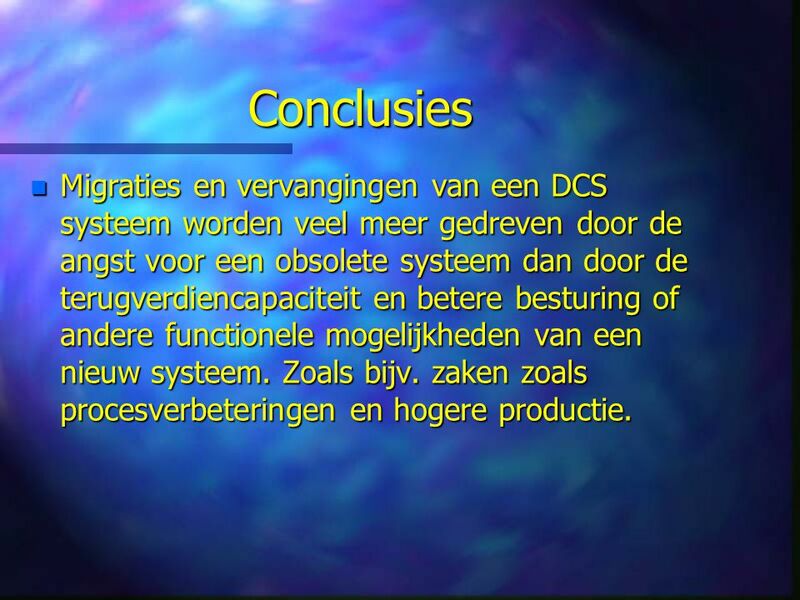 46 Conclusies Migraties en vervangingen van een DCS systeem worden veel meer gedreven door de angst voor een obsolete systeem dan door de terugverdiencapaciteit en betere besturing of andere functionele mogelijkheden van een nieuw systeem. Zoals bijv. 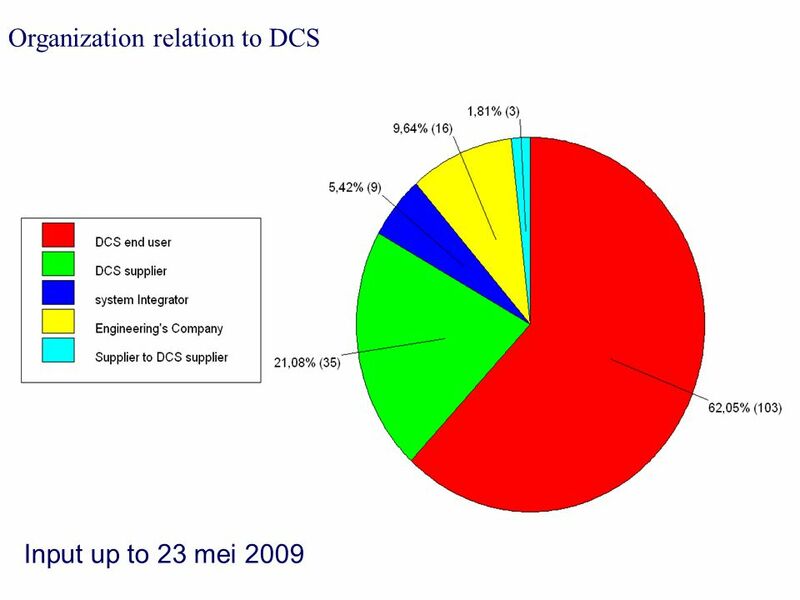 zaken zoals procesverbeteringen en hogere productie. 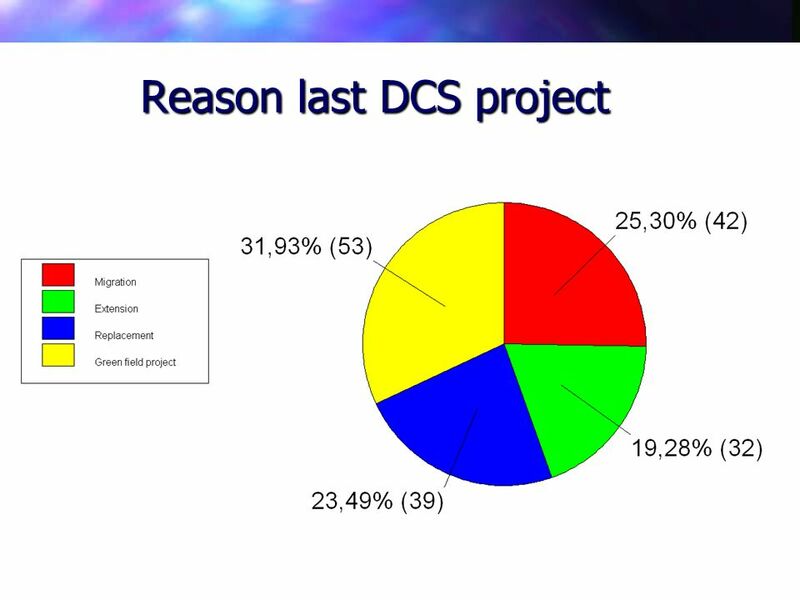 47 Een groot percentage DCS en ICT-projecten haalt niet succesvol de eindstreep, de businesscase wordt niet gehaald, de projectduur is langer en de kosten zijn hoger als oorspronkelijk bepaald. 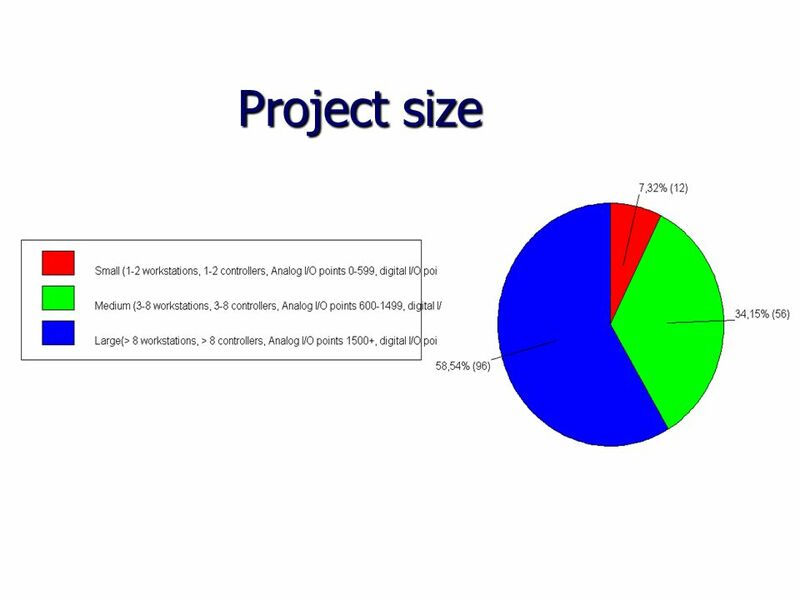 De hoofdredenen zijn het onvoldoende functioneel te specificeren van de projecteisen en tussentijdse wijzigingen. 48 Vroegtijdig inspelen op de specificaties geeft maximale manoeuvreerruimte voor besparingen (dan wel minimale kosten voor een verandering) daarnaast is het vroegtijdig bestrekken van inkoop in de specificatiefase een kostenbesparing en zou je hiermee zo vroeg als mogelijk hiermee moeten beginnen. 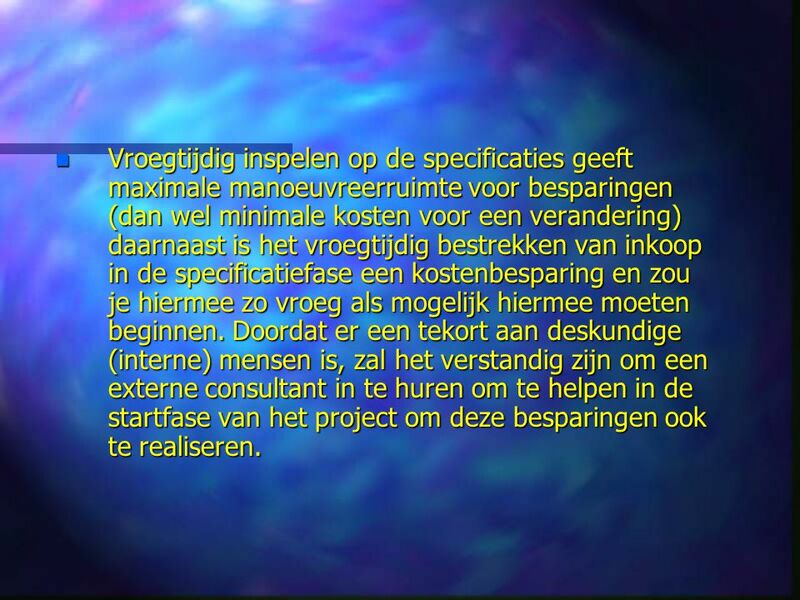 Doordat er een tekort aan deskundige (interne) mensen is, zal het verstandig zijn om een externe consultant in te huren om te helpen in de startfase van het project om deze besparingen ook te realiseren. 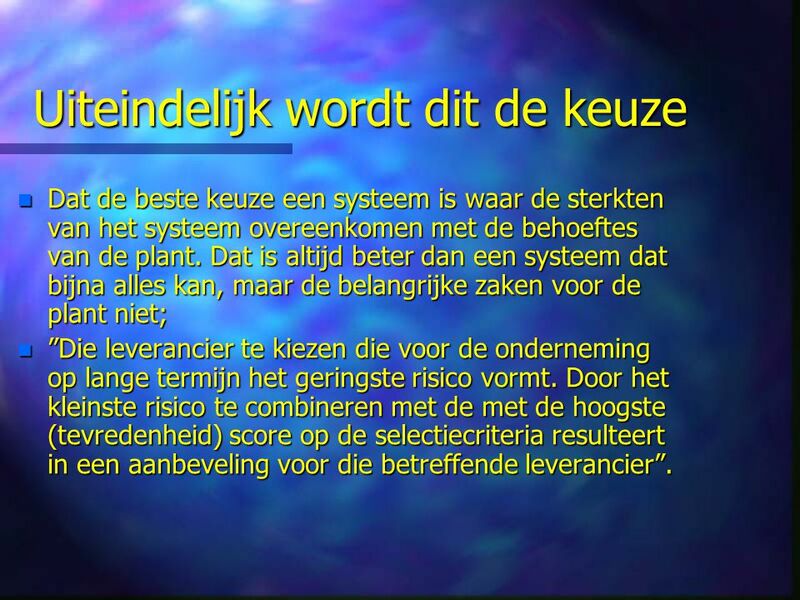 Dat de beste keuze een systeem is waar de sterkten van het systeem overeenkomen met de behoeftes van de plant. Dat is altijd beter dan een systeem dat bijna alles kan, maar de belangrijke zaken voor de plant niet; ”Die leverancier te kiezen die voor de onderneming op lange termijn het geringste risico vormt. Door het kleinste risico te combineren met de met de hoogste (tevredenheid) score op de selectiecriteria resulteert in een aanbeveling voor die betreffende leverancier”. 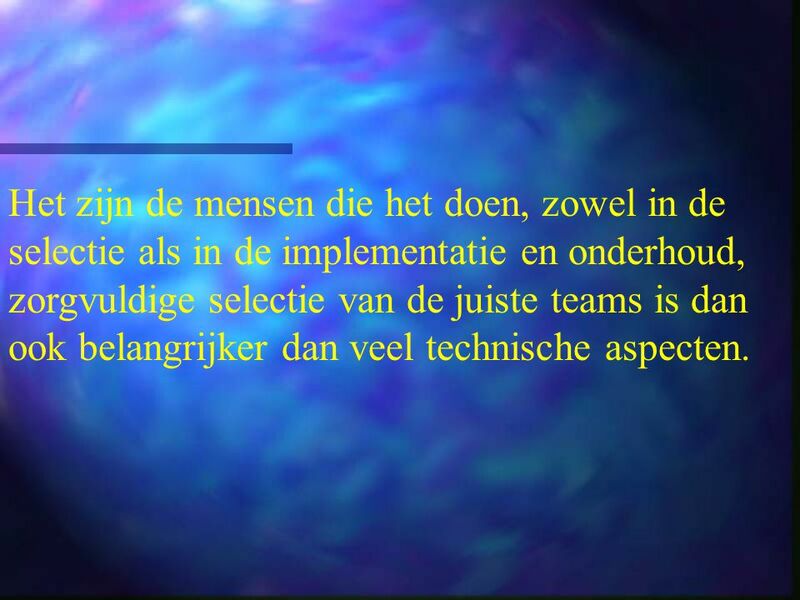 50 Het zijn de mensen die het doen, zowel in de selectie als in de implementatie en onderhoud, zorgvuldige selectie van de juiste teams is dan ook belangrijker dan veel technische aspecten. 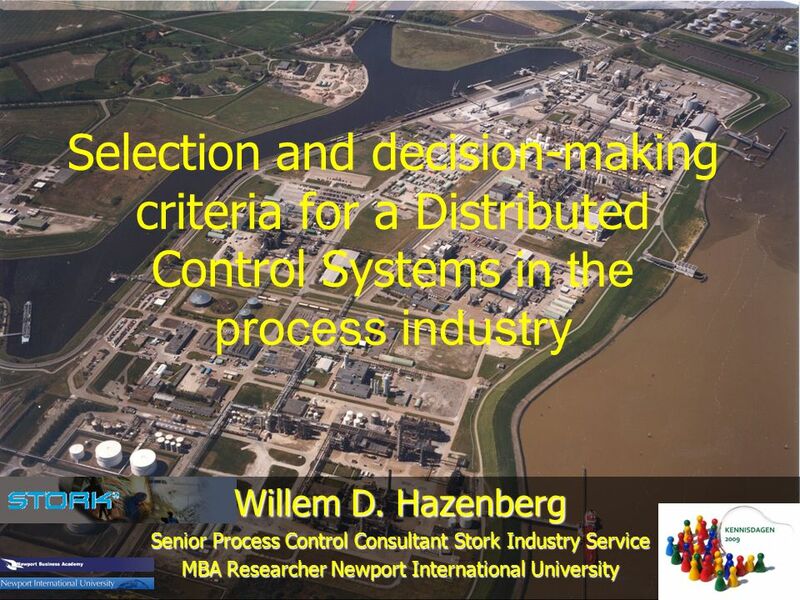 Download ppt "Selection and decision-making criteria for a Distributed Control Systems in the process industry Willem D. Hazenberg Senior Process Control Consultant." Personal before business in requirements prior-IT-ization Johan F. Hoorn Vrije Universiteit Computer Science Information Management and Software Engineering.